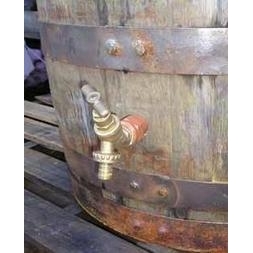 These adaptors are designed for fitting standard BSP threaded plastic or metal taps to wooden barrels. The adaptor is tapered with a spiral thread on the outside to assist fitting and sealing to the barrel. They are fitted by simply screwing the adaptor directly into a suitably sized hole. Glue or sealant is not required.